When I first started going to Disney World, little did I know that I would end up taking my family there year after year after year. 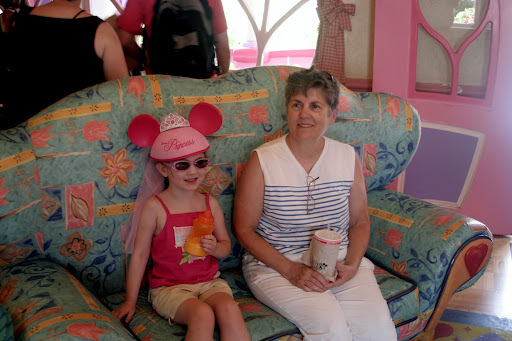 The first time I went to Disney, my Mom and my sister and my Grandparents took me, and it was a lot of fun. But over the years of visiting my Grandparents in Disney during my teenage years, I ended up going to Disney World just three times — and one of those times I went by myself. It’s funny, but I really don’t think that I got what the whole Disney experience was about until the time that I took Cindy, the lady that would become my wife, to Disney over July 3rd and 4th, 2000. Cindy had never been to Disney before, so I was able to show her the parks (we went to Magic Kingdom and Epcot on that trip) and help her to explore Disney World, and discover her own Disney Magic. We were getting married the following month, so in some ways this was our honeymoon before the wedding, and we had so much fun that trip. Our next trip just happened to be the following January! We were pregnant with Sophie, our daughter, and had a long weekend, so we decided that we should take the time to spend a long weekend at Disney World. It was during that trip that we saw a wedding party being transported by way of Cinderella’s Royal Coach over at the Wedding Pavilion, and I told Cindy that if Sophie wanted to get married at Disney World, well, that was all right with me! Since we were pregnant, we were unable to ride the big thrill rides like we normally would have, so that was the trip where we ate our way through Disney, and enjoyed every minute of it, I might add! After that trip, our Disney adventures slowed down a bit, but that doesn’t mean that the Disney Magic wore off! Even though we didn’t take our next trip until Sophie was four, we were still indoctrinating her in the classic Disney Magic through movies, pictures, and books. We bought Sophie’s first movie, Snow White and the Seven Dwarfs, before she was born, in part because with the purchase we would receive a set of four lithograph prints, which are still in her room to this day. 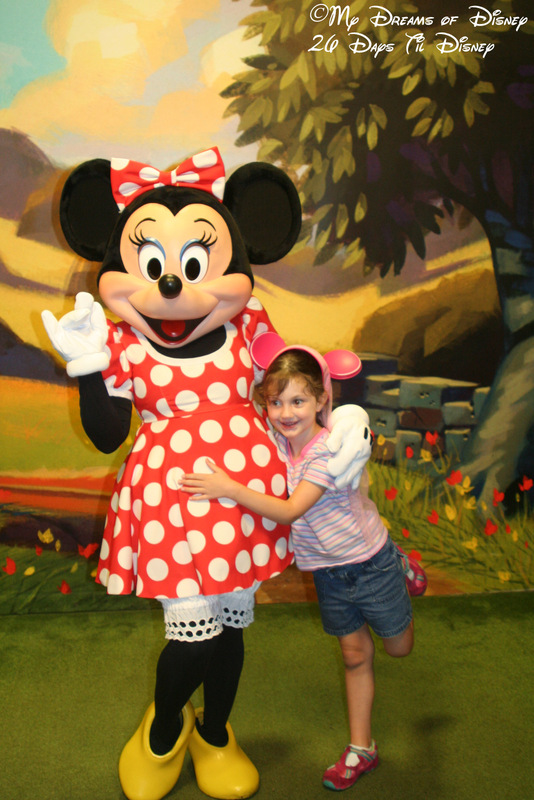 Our next trip to Disney (and Sophie’s first trip) was when she was four years old. 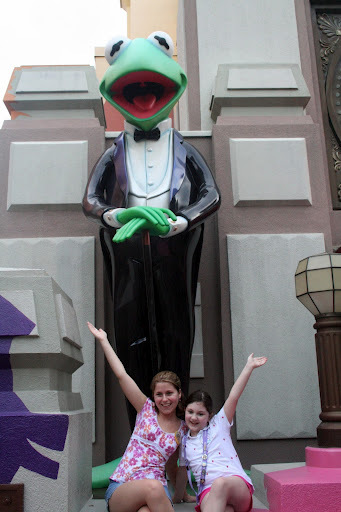 We were invited to go to Florida with some of our friends, and we ended up spending three days at the parks. We saw Magic Kingdom, a little bit of Epcot (for a character breakfast at Akershus), and Animal Kingdom. We were staying off property, but we had the best time with our friends. Despite the fact that Sophie was just four, she remembers it to this day, and looks forward to the next time that we are able take vacation with her friend Riley again. Beginning with our trip in 2005, we started taking annual trips to Disney World for at least one day. In 2006 we took my Mom with us for a day, as she was staying with my Grandparents for the summer and we came down to visit them. It was a fun time, and yielded some of the following pictures from that day. In 2007 we started spending our vacations at Disney World and also started staying on property at one of the Disney resorts. The first two years we stayed at Coronado Springs Resort, and in 2009 and 2010 we stayed at Port Orleans French Quarter. In all of those visits, we have not had a bad experience at any of them. The benefits of staying on property versus staying off property are significant in my opinion. I think I’ll save that discussion for another day! However, I still haven’t answered the question of “Why we go to Disney World”. The answer, really, is simple: because it is the best place that we have found to leave life behind for a while, to explore the Magic that is Disney, to remember days gone by when the world moved at a slower pace, and to remember what it feels like to be a kid. Just take a look at some of the priceless shots I’ve gotten of Sophie in her favorite moments! 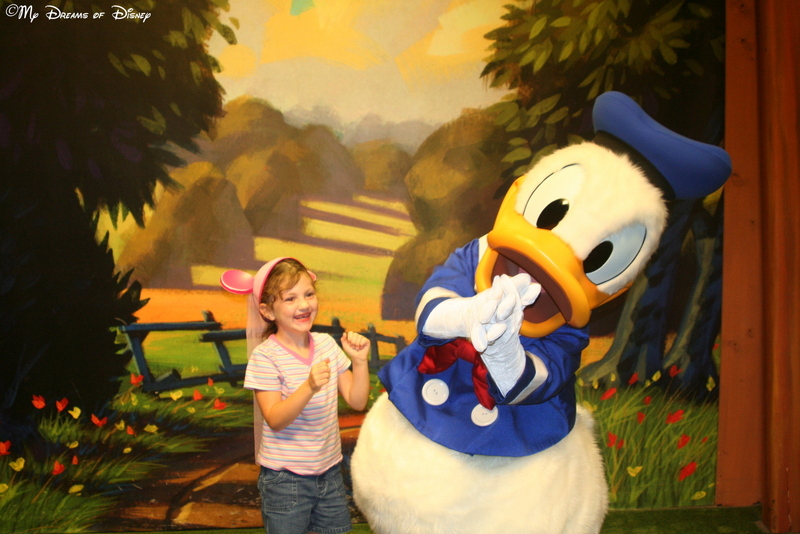 One of my favorites — Sophie was so excited! 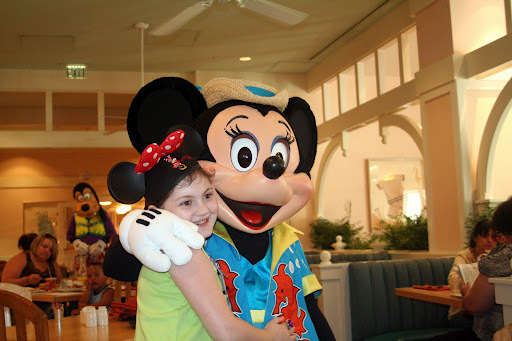 So there you have it — some of my reasons why we go to Walt Disney World. Why do you go to Walt Disney World or Disneyland? Why not tell me in the comments, and thanks! I love going to Disney World because it is a place where the intention is to go there and be happy, have fun, relax and enjoy. I always pay off the vacation as much as possible before we go so that I can really enjoy it all knowing there won't be bills when I get home. I love the things that stay the same and I love knowing there will be new sights to see. And of course, Mickey Premium Ice Cream bars!!!!!! !